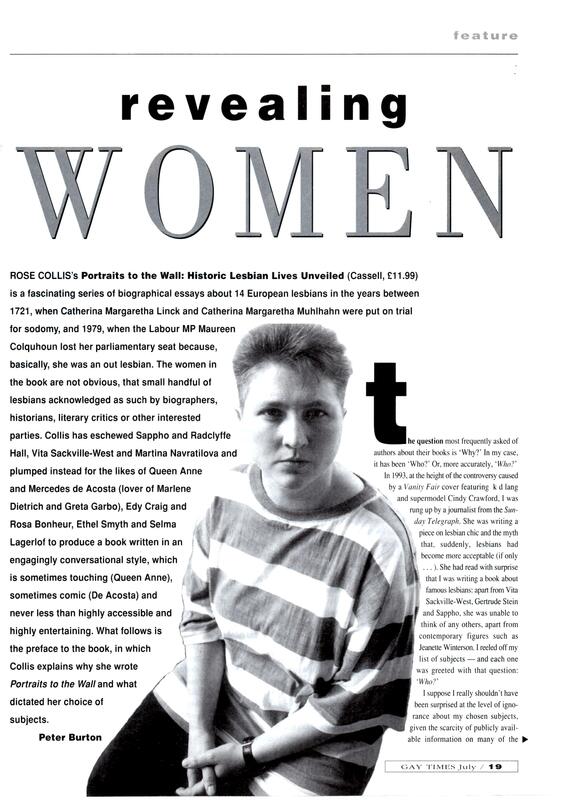 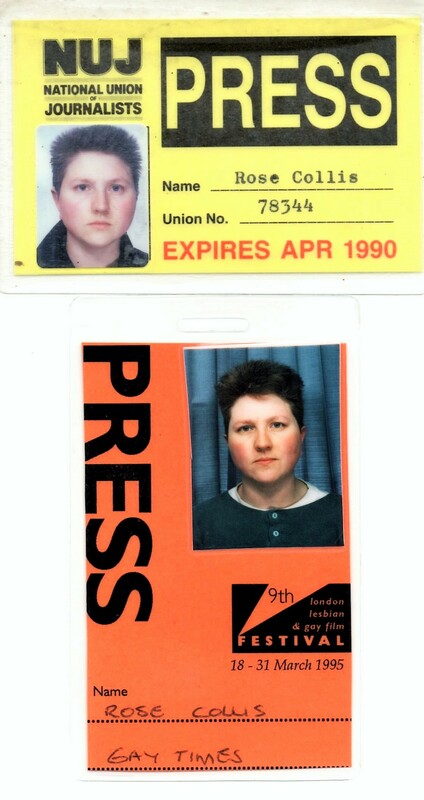 Rose Collis’s ‘accidental’ career in journalism started in October 1985, when London-based magazine City Limits appointed her to be the first lesbian co-editor of the highly influential ‘Out in the City’ section, founded by Brian Kennedy – thus making it the first non-gay UK publication to have a staff member – rather than freelancer – dedicated to coverage of lesbian politics, arts and culture. 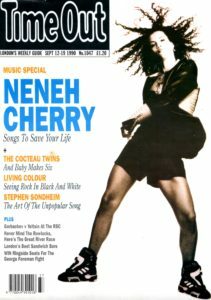 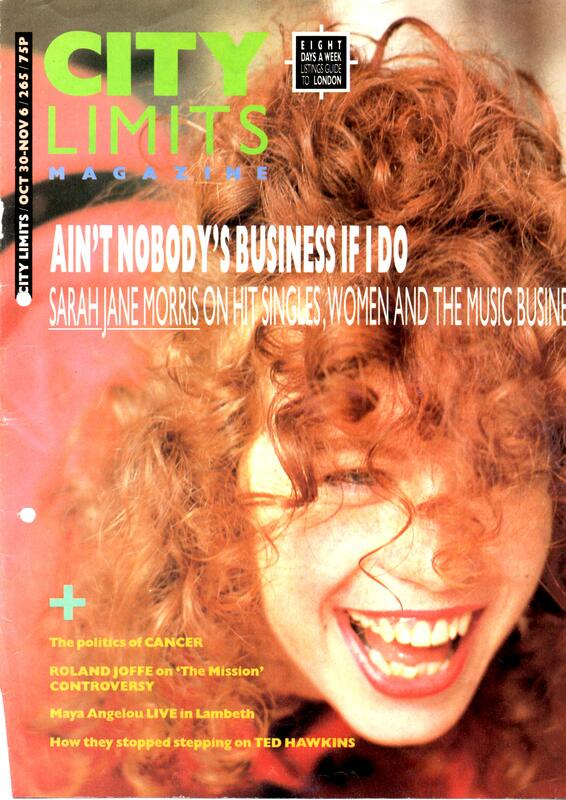 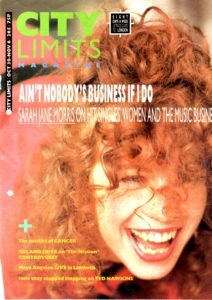 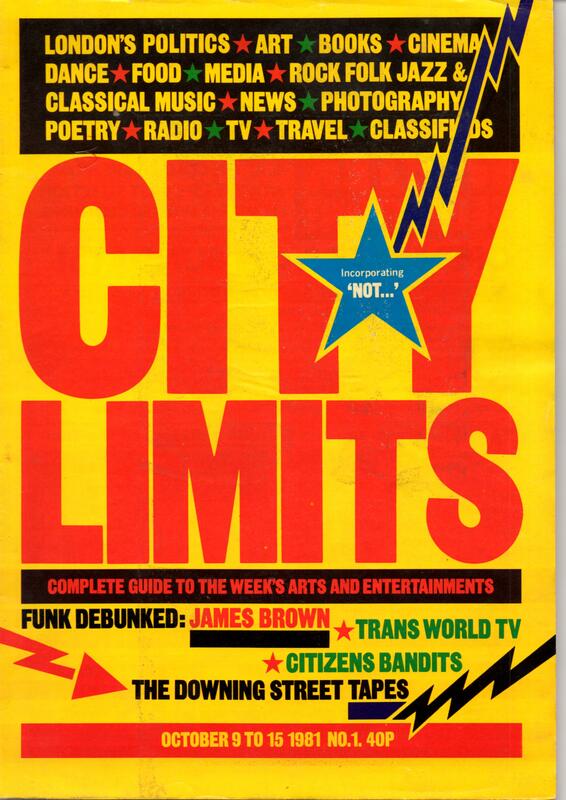 At that time, City Limits was the weekly magazine that writers wanted to write for, and readers – in and outside of London – looked to as the guide to all things alternative: socially, politically and culturally. It was a workers’ co-operative – the largest in England – which meant that all staff, be they part time and regardless of what department they worked in, had an equal say in it, and all staff were paid equally, pro rata. 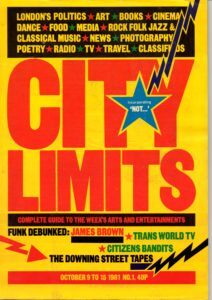 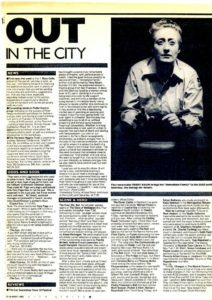 City Limits was launched in 1981 by many of the former staff of Time Out who had left during a protracted dispute after owner Tony Elliot ended the system of equal pay for all staff. During the dispute, Time Out staff had produced a protest news sheet called Not Time Out from the basement of the Drill Hall in Chenies St, London, and this is referred to in the blue star on the front cover of the first City Limits. 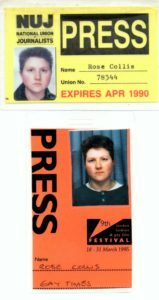 Its distinguished roll-call of staff journalists included Nigel Fountain, John Fordham, Penny Valentine, Lyn Gardner, Duncan Campbell, Beatrix Campbell, Lucy O’Brien, Quentin McDermott, Melissa Benn, Sheryl Garrett and Cynthia Rose. 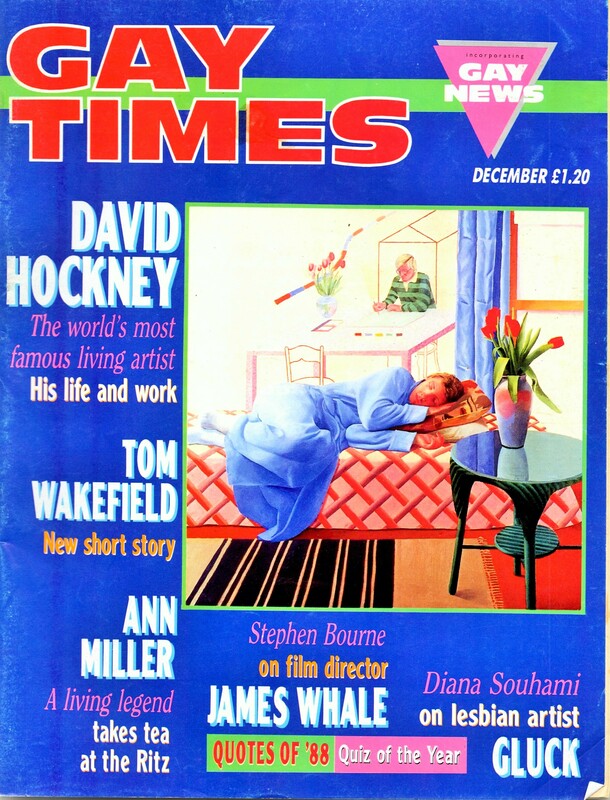 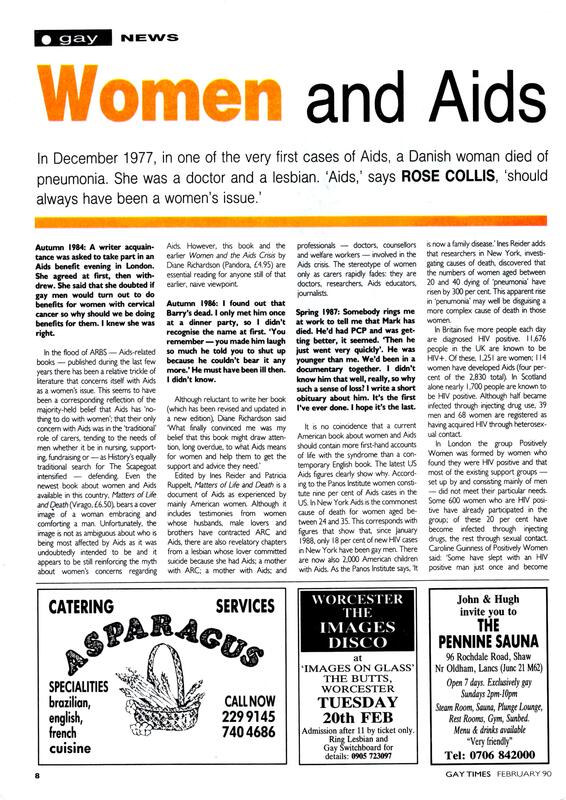 But, as Rose recalls, no-one was more surprised than she was to be appointed to the magazine: ‘At that time, I had no ambitions at all to be a journalist (let alone an author) and if anyone knew how blasé I was about the whole thing, I probably wouldn’t have been taken on. So many lesbian writers and writers manqué were hankering after the post, whereas I was entirely ‘not bovvered’. 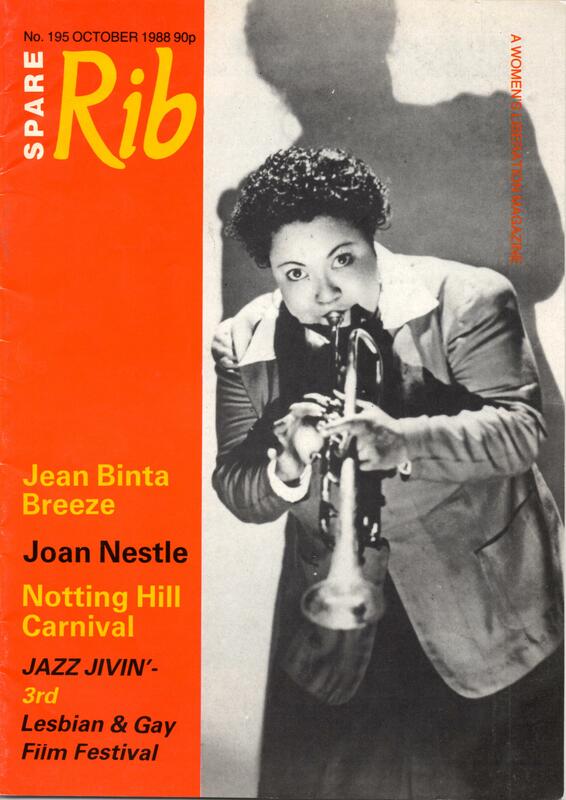 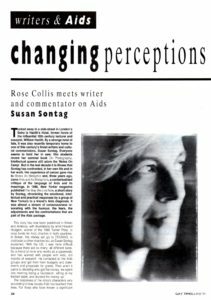 Subsequently, Rose wrote for many other sections of the magazine and her features and reviews covered a diverse range of subjects – film, TV, theatre, literature, women’s rights, gay rights, music and UK and international politics. 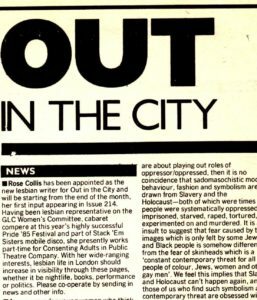 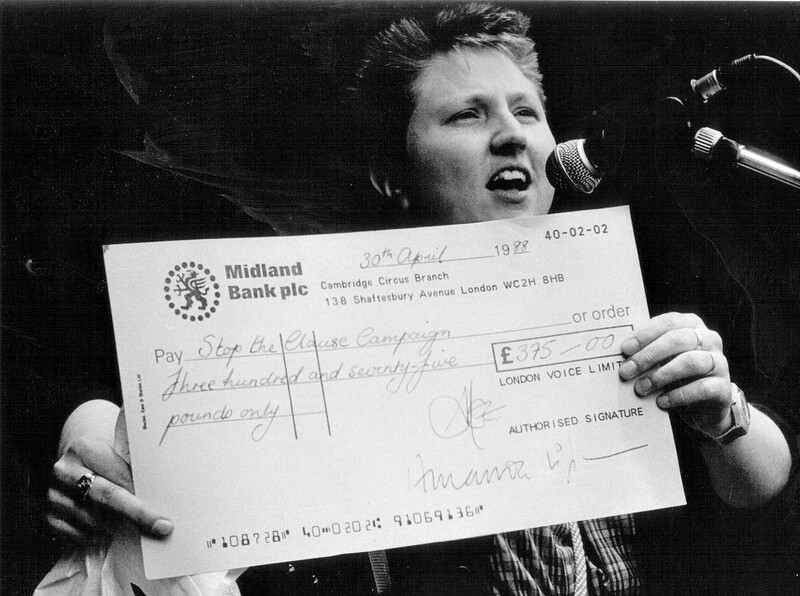 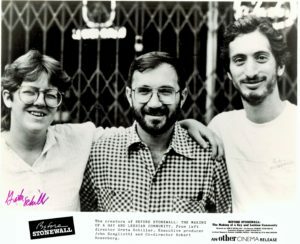 City Limits and in particular Rose Collis and Brian Kennedy of Out in the City were pro-active media opponents of issues such as Section 28 and AIDs discrimination. 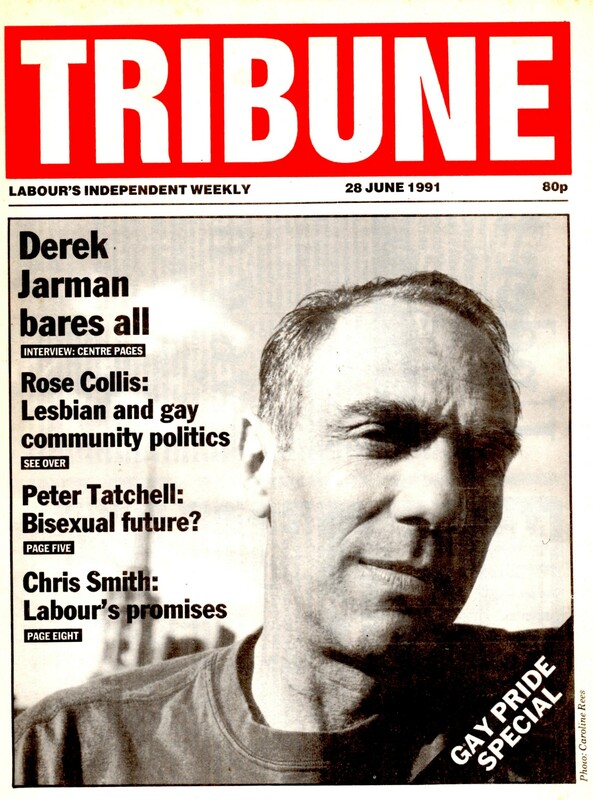 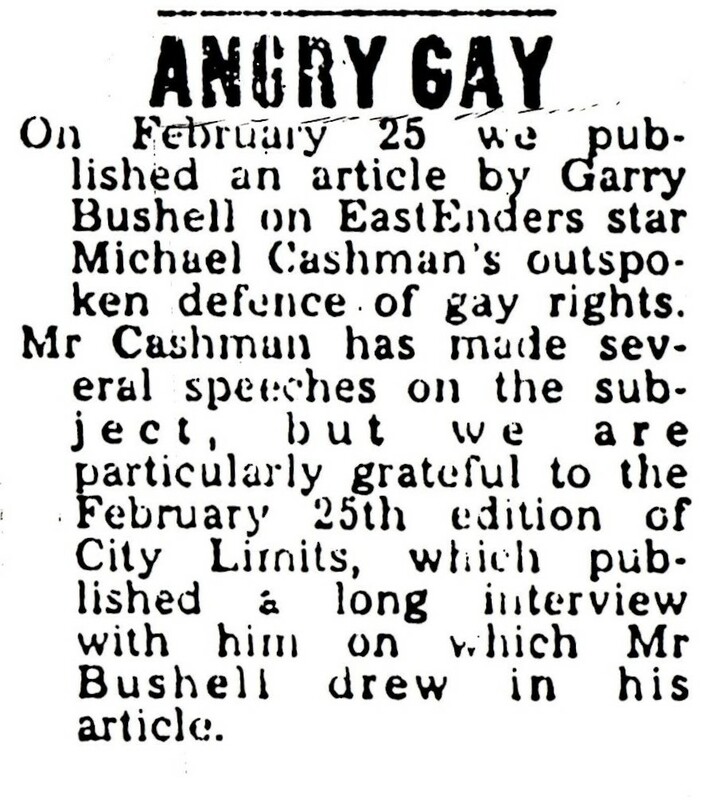 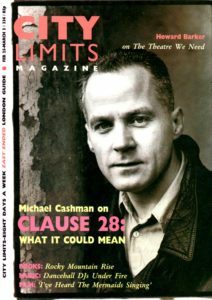 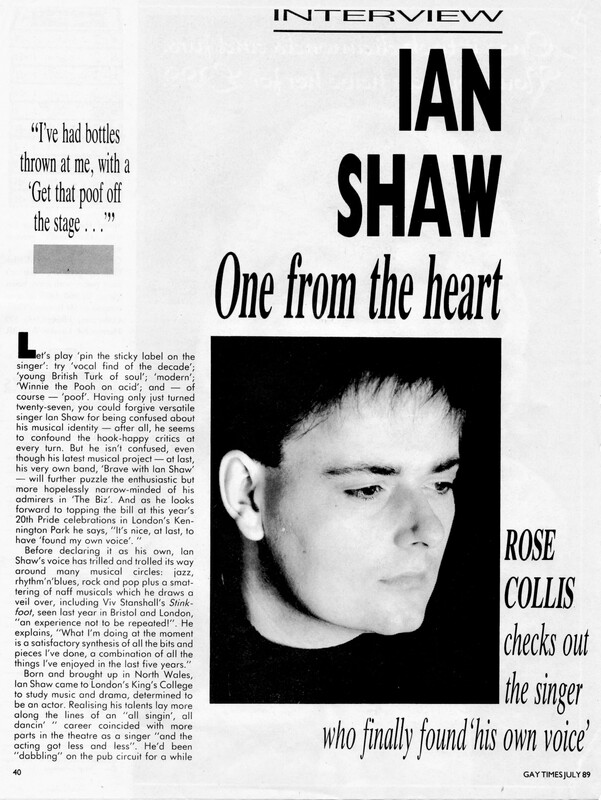 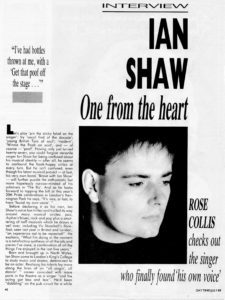 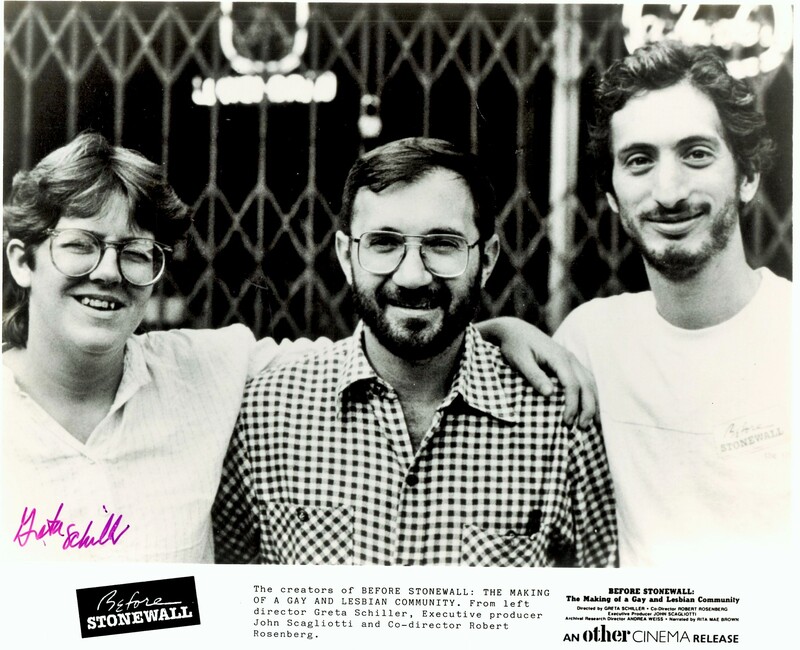 During this time, actor and Stonewall founder Michael Cashman gave his only press interview, to Rose for City Limits. 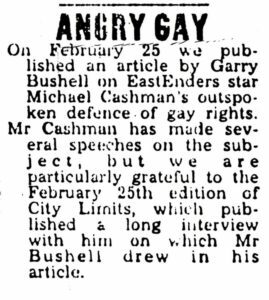 Most of the article was then ripped off by The Sun with no permission, and the CL lawyers succeeded in getting the publication to make a small donation to the Stop the Clause campaign. 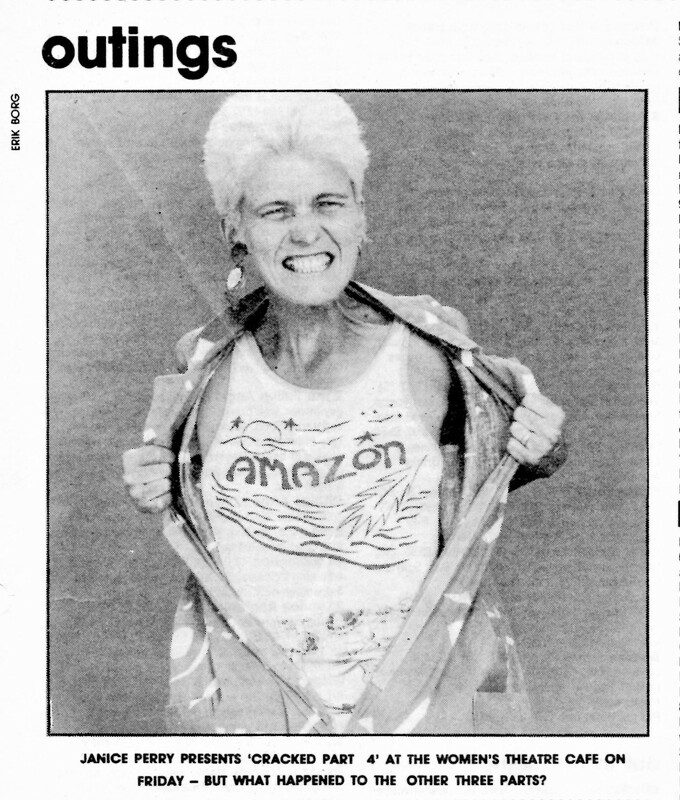 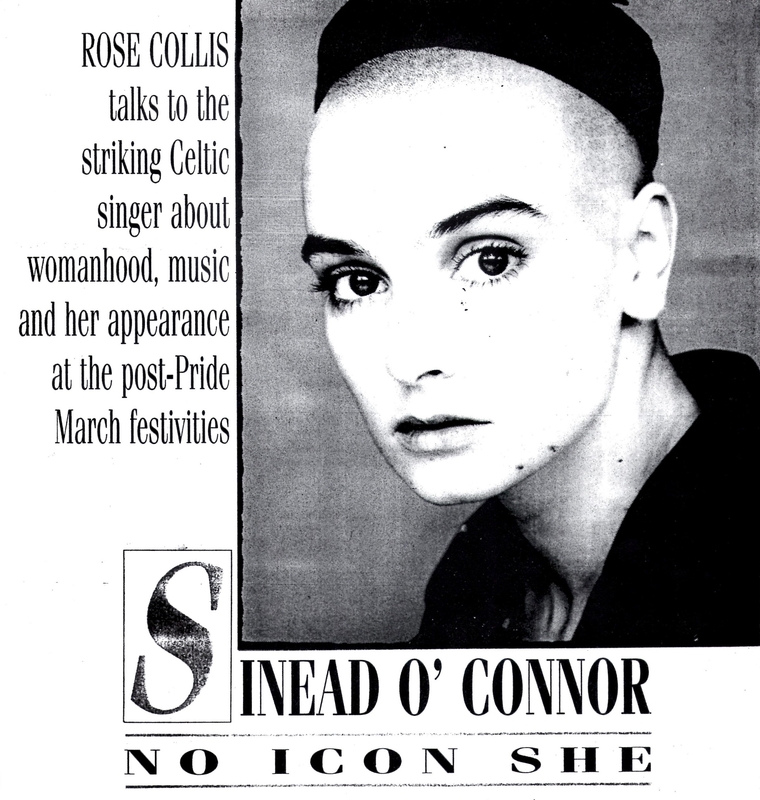 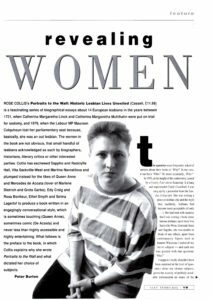 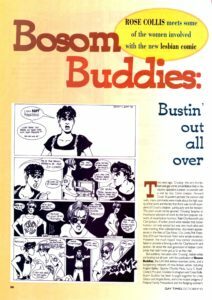 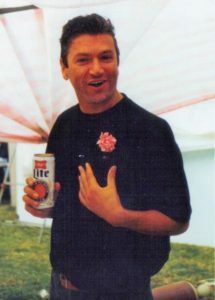 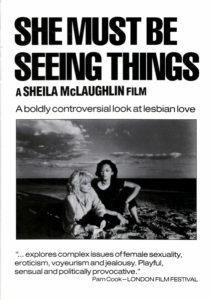 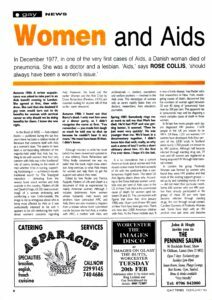 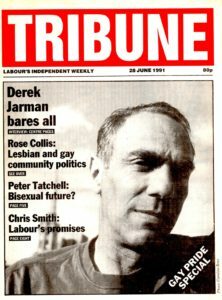 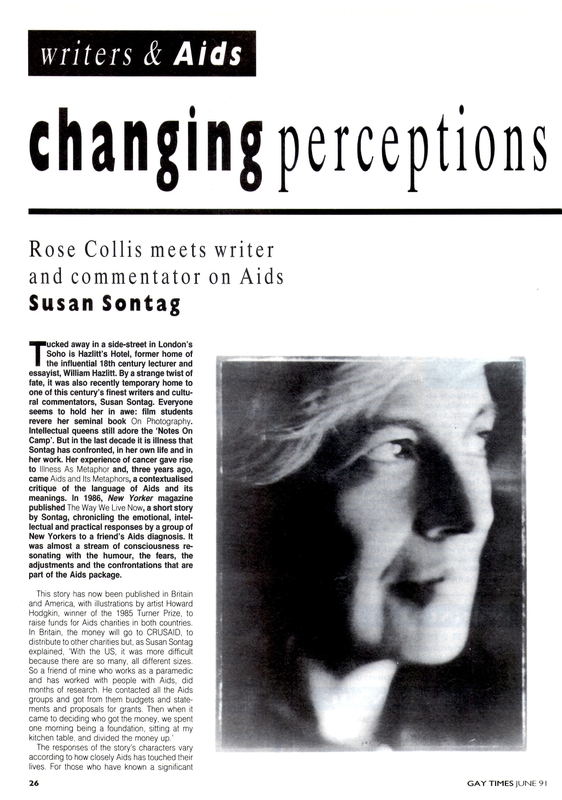 In the following decades, articles by Rose Collis have appeared in over 30 publications on both sides of the Atlantic, including The Times, Gay Times, The Independent, Time Out, Spare Rib, Diva, Shebang, Kennedy’s Gay Guide To London Tribune, , Chic, Marxism Today, Xtra (Canada), Sussex Life, The Bookseller, 3Sixty and one80. 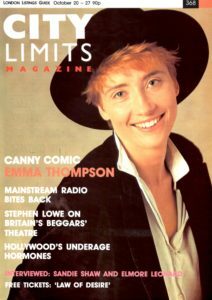 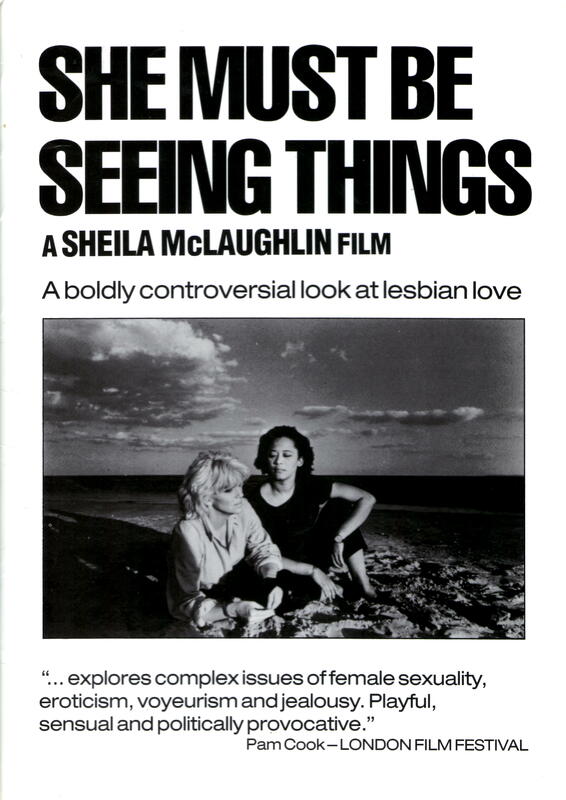 Interview subjects have included Pedro Almodovar, Frankie Howerd, Dame Eileen Atkins, Sandra Bernhard, Melvyn Bragg, Neneh Cherry, Derek Jarman, Lynda La Plante, Stephen Fry, Emma Thompson, Patrick Gale, Susan Sontag, Armistead Maupin, Sarah Jane Morris, Mo Mowlam, Joan Nestle, Sinead O’Connor, Tom Robinson, Jane Rule, May Sarton, Ian Shaw, Lea De Laria, Sandie Shaw, Helena Kennedy QC, Clare Short, Sarah Schulman, Anita Roddick, Guinevere Turner and Lois Weaver. Other editorial work includes writing notes for CD re-issues of albums by Elton John and Dusty Springfield; programme notes for the National Film Theatre; essays in the Oxford New Dictionary of National Biography and as a freelance sub-editor on a variety of publications: TVQuick, TV Times, Total TV Guide, Bella, Diva, Good Homes, She, What’s On TV and BBC Worldwide.